Thank you for having me on the blog today. I know it’s not yet Halloween, but I have recently released a Christmas-time romance in eBook, the third story in my Love is Bliss series. HOLIDAY BLISS follows an older heroine and her frustrations as she tries to finish repairs on her home following Hurricane Sandy. Like the other Bliss stories, HOLIDAY BLISS is set in a fictional town, Bliss Township, on the Jersey Shore. I got the idea to write shifter romances set in this area after multiple visits to the state. Over the last several years, I have visited New Jersey to participate in book festivals and signings. One in particular, the Collingswood Book Festival, is held in Collingswood. The town is closer to Philly than the shore, but if you’ve been to New Jersey (or live there, of course) you’ve seen how the towns are situated. It’s a very different place than Virginia, and I loved driving through the small towns and along the beach. I originally conceived the Bliss series as a companion to my Home to Dareville series – not necessarily connected, but as a paranormal counterpart. In Bliss, the shifters around town are an open secret among the “normals.” There are wolves and panthers, and sometimes you’ll see them running along the beach. They aren’t dangerous, but sometimes they’ll get into scrapes! 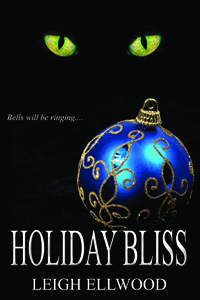 If you like panther shifters and romance, hope you’ll check out HOLIDAY BLISS! 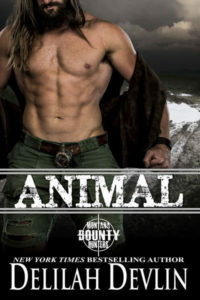 Two years after super storm Sandy ripped up the Eastern seaboard, panther shifter Sheila Houlihan has finally rebuilt her home in the shore town of Bliss, New Jersey. She looks forward to her first Christmas there, if only Jonah will finish with the interior painting. Jonah, however, is interested in being more than Sheila’s handyman. He doesn’t care about the difference in their ages, and with Sheila soon to become an empty nester he knows she’ll want some company to keep her warm this winter. It’s only a matter of getting Sheila to see that age is only a number. 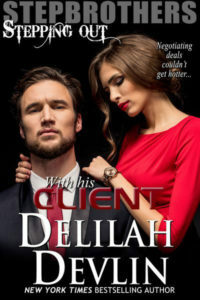 Romance Author Leigh Ellwood – Variety and Spice!